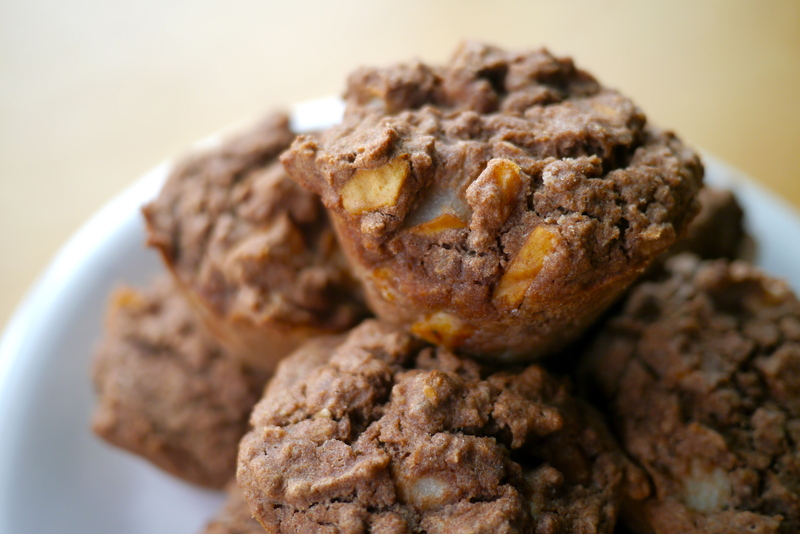 Ginger Pear Teff Muffins. Teffing Good and Gf and Vegan! This morning a number of small and sad looking pears at the bottom of the fruit bowl came to my attention. All of them bruised, a little softer than is appetizing, and abandoned. 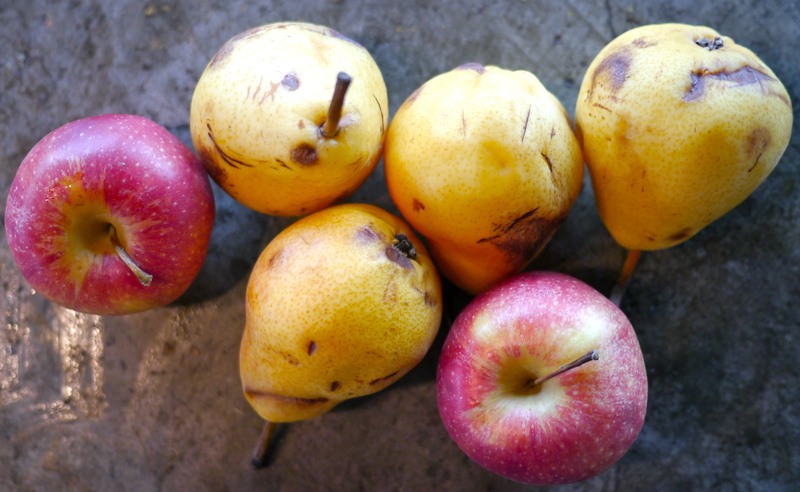 I suppose that’s the risk you take with Trader Joe’s bags of organic fruit, but man, these pears got overripe fast! Because I hate wasting anything (high 5 to Grandma for all those years of reminding me waste not, want not! 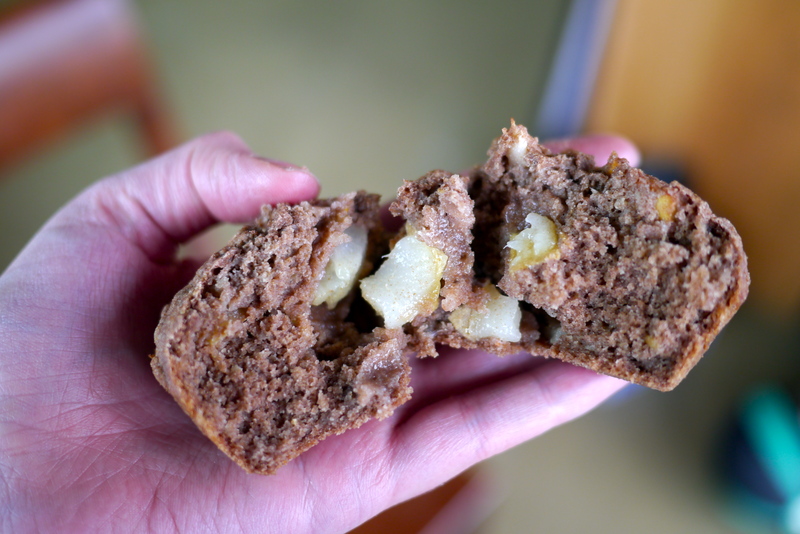 ), an emergency batch of muffins just had to be prepared to save the pears from unfulfilled potential. 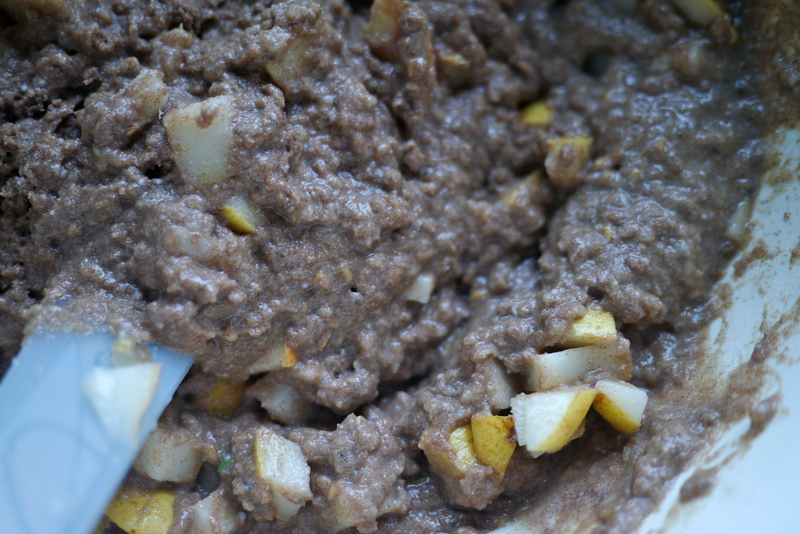 (the apples below were saved for juicing the last minute) For those of you that haven’t experienced teff, it’s an Ethiopian grain that is fantastic in a number of things, most notably to me in muffins, pancakes, and that delicious bread that you find when eating Ethiopian food. 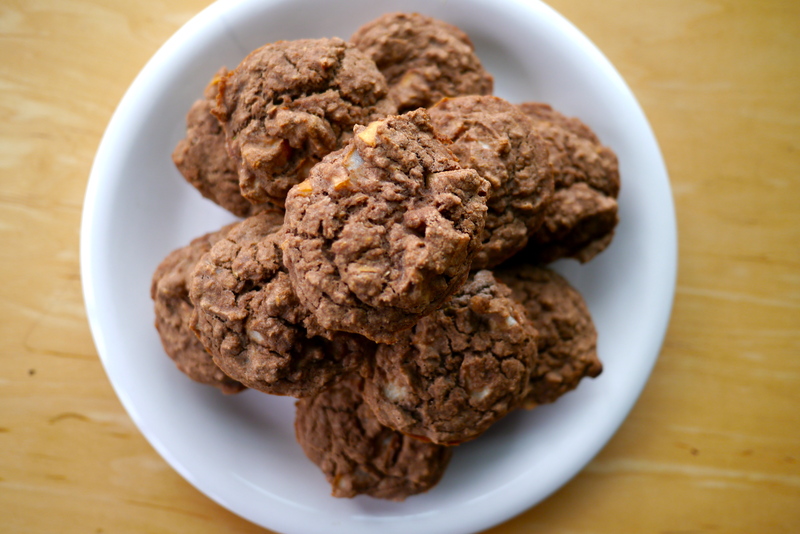 Despite the dark color, it’s actually got a fairly mild flavor and a really nice, superfine texture. 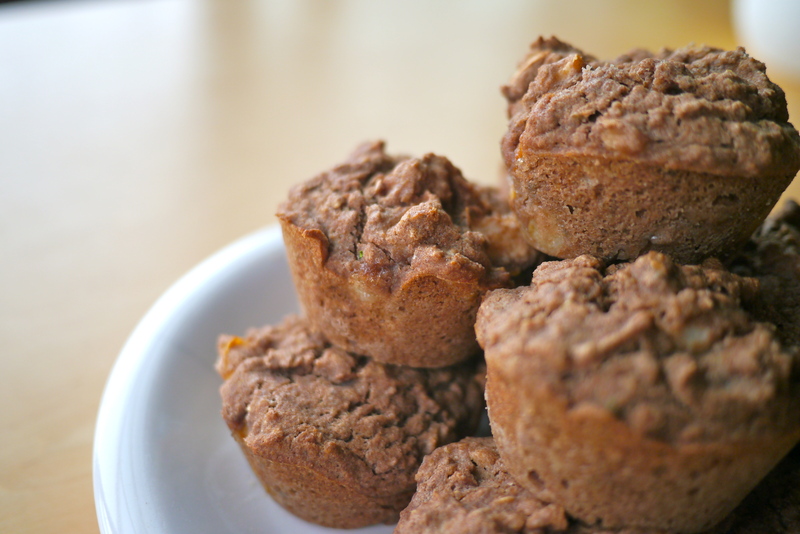 So, let’s make muffins! about 4 small very ripe pears, chopped (or any other fruit that you think would pear…haha get it?…well with ginger) First, preheat the oven to 400 degrees. 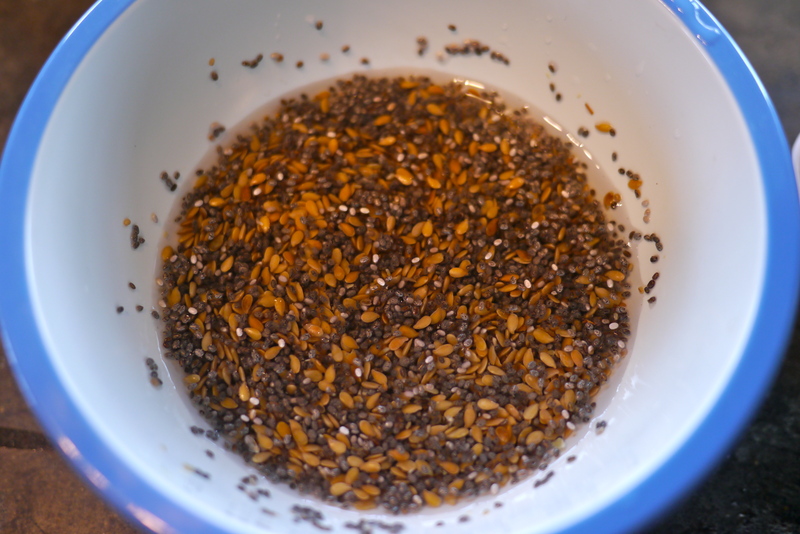 Next, whisk your chia seeds into a gel and add flax (it’s super gel!). It’ll take about 5 minutes for this to set. 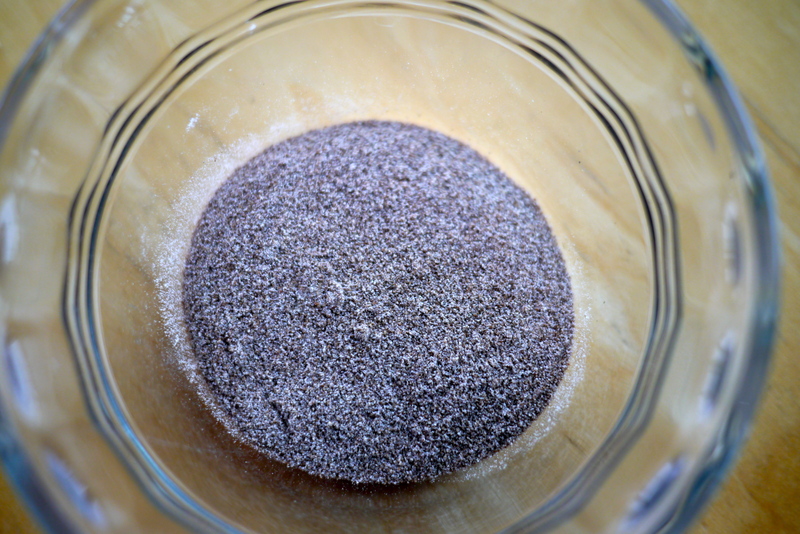 Combine all dry ingredients in one bowl and combine all wet ingredients into a second bowl, including your chia/flax gel. Combine wet and dry, and fold in pears. 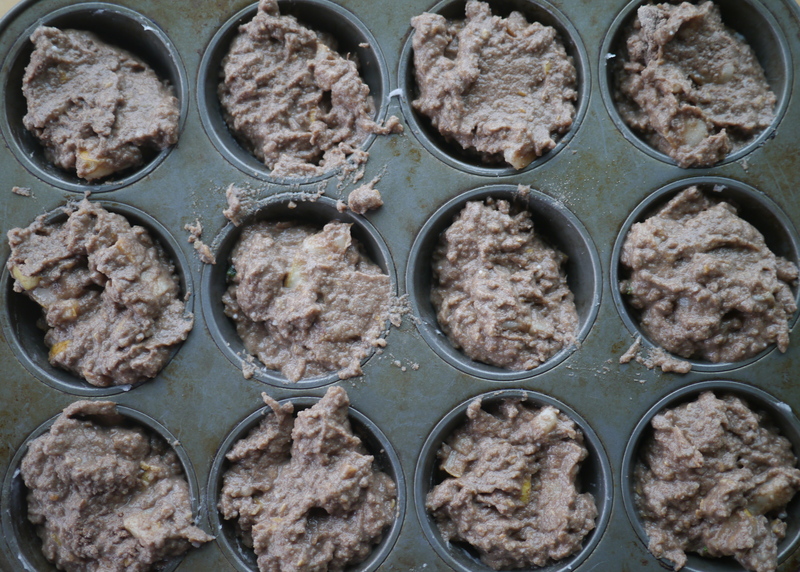 Grease muffin tins with oil of your choice and fill with batter. Bake in oven for about 15-20 minutes, until a fork comes out clean when inserted. Eat and enjoy!!! !